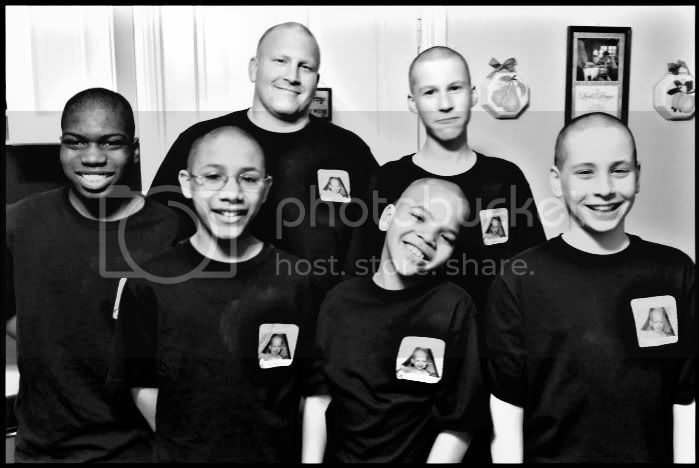 And, yesterday, 5 of my boys and Russ went bald again. I didn’t have to coerce. I didn’t have to beg. I honestly didn’t even have to ask. 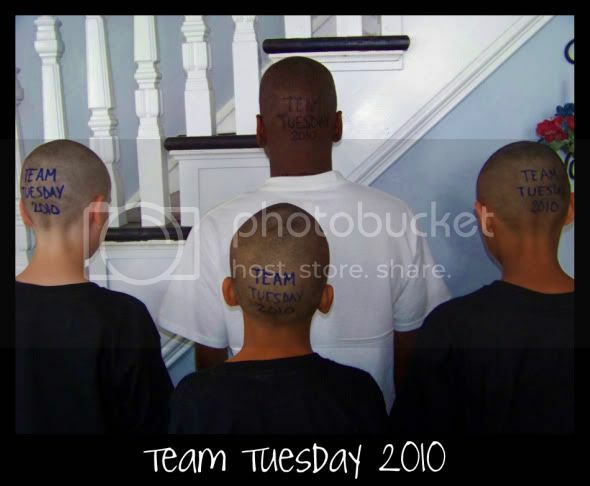 All I had to do was tell them it was March and time for St Baldricks again and one by one, they decided to go bald. I love these bald guys. Their heads might be bare, but their hearts are full. 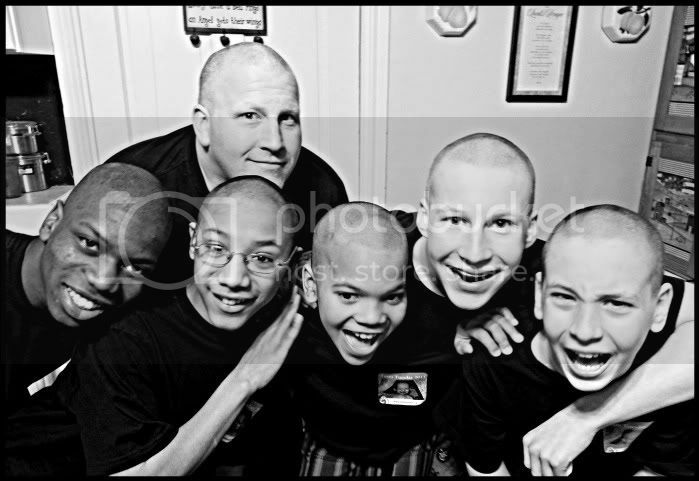 Please consider making a donation to Bouf Boys 6. 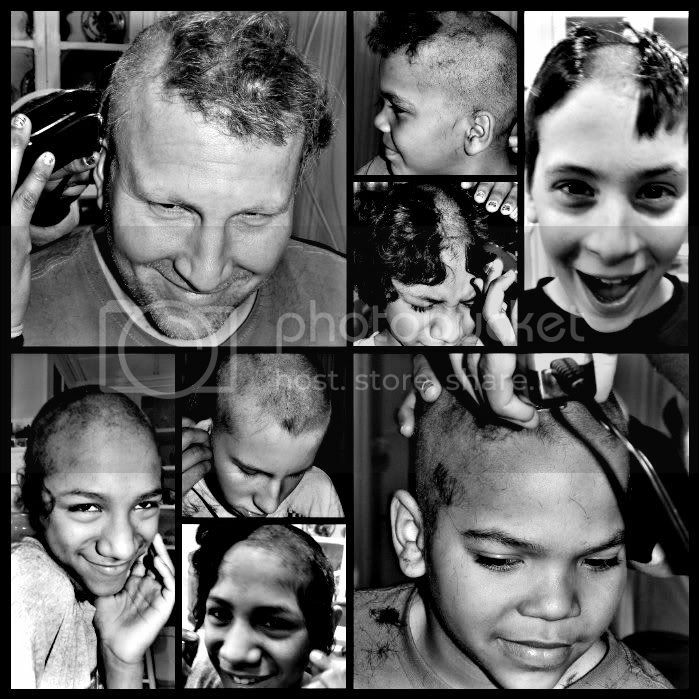 Help us reach our goal & help raise money for pediatric cancer research. Playing along with 7 Clown Circus and Parenting by Dummies for Wordful Wednesday, Twinfatuation for Whensday and Grace Alone for Thankful Thursday.